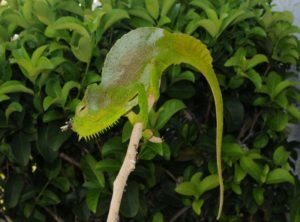 We have a handful of beautiful Four Horned Chameleons for sale. Four Horned Chameleons are native to Cameroon. 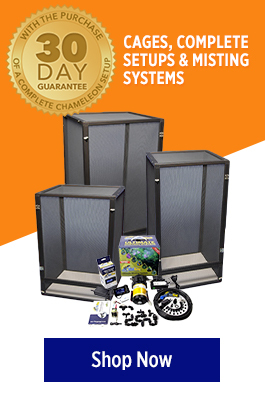 They are a montane chameleon that prefers temperatures in the low to mid 70’s as a daytime high. They are noted for having Four Horns protruding from their faces and and a sail fin along the top base of their tail. We have several nice pairs of long term captive four horned chameleons (Quadricornis). These are a fascinating four horned chameleon with a sailfin back and tail. This is definitely a must have to anyone’s rare chameleon collection.